Thomas Anthony Wood (1857-1945) – Temple Lodge, No.33, Duncan, B.C. Thomas Anthony Wood (1857-1945 joined Temple Lodge, No.33 in 1900 and remained a member of Temple Lodge, No.33 until his death in 1945. He lived an active life. Among other activities, he served as Reeve of North Cowichan. A Petition for Initiation from Thomas Andrew Wood was received by Temple Lodge, No.33 at a Regular Meeting on 14 April 1900, along with Petitions for Initiation from James St. Leger Maitland-Dougall and Ernest Alfred Price. An Investigation Committee consisting of Samuel Robinson, Harry Smith and Major James Mutter was appointed to examine Thomas Wood’s application. The Committee reported favourably and Thomas Andrew Wood was Initiated in Temple Lodge, along with Ernest Alfred Price and Robert Telford, at an Emergent Meeting on 21 May 1900. 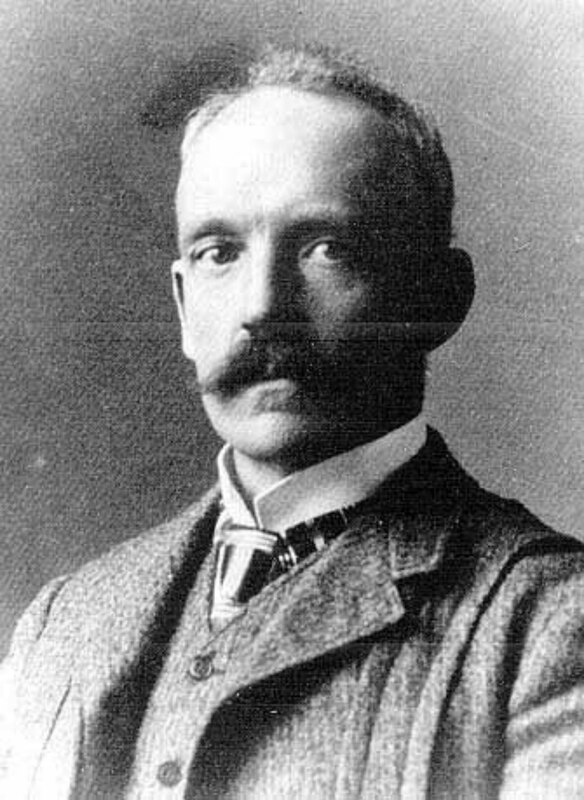 Thomas Wood was Raised in March 1902. He remained a member of Temple Lodge, No. 33 until his death in 1945. “Wood – A long and extremely active life, going back to the early days of Cowichan, came to an end last Wednesday evening with the death of Mr. Thomas Anthony Wood, “Lukannon”, Maple Bay, aged 88. He died in the Royal Jubilee Hospital, Victoria, within a week of going to the city to spend the winter with his son, Com. M.A. Wood, R.C.N., and Mrs. Wood and family. He failed to survive an operation performed the previous day. Born in Liverpool, Lancashire, England, on October 5, 1857, Mr. Wood was educated at private schools and at Moravian College, Neuwied, on the Rhine in Germany. Of his time in college, he used to recall a walking tour in 1872 with 15 other classmates at [illegible in original], during which they met Kaiser Wilhelm I in the Kursaal. The Kaiser spoke to them and gave each a photograph of himself. Mr. Wood also remembered seeing German troops returning through the town from the Franco-Prussian war. From 1873 to 1877 Mr. Wood studied assaying and analytical chemistry at the Royal Institution laboratory, Liverpool. He also studied for six months at Manchester University under Sir Henry Roscoe, and at the laboratory of Privy Councillor Fresenius at Wiesbaden, Germany, where he recalled seeing Russian soldiers convalescing from wounds received in the Russo-Turkish War. He was appointed chemist at a bleaching, finishing and dye works near Manchester in July 1877 and in 1879 became manager of the concern, relinquishing the post in December, 1883. Fifty-nine years ago, in March 1884, Mr. Wood arrived at Wapella, Assiniboia (now Saskatchewan), and took up farming. He was married at Woodleigh, Wapella, by the Rev. W.W. Bolton, on November 4, 1885, to Annie Susanna Wainman, who predeceased him some 40 years ago. 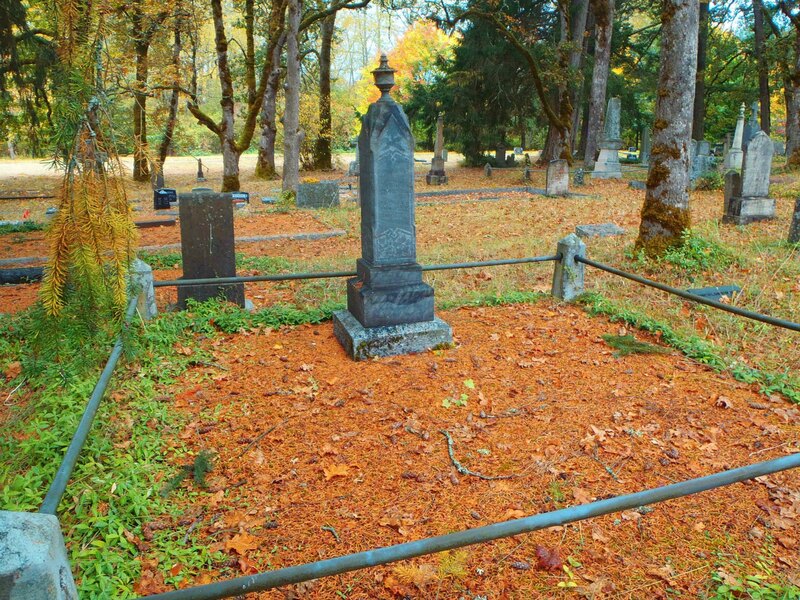 His first contact with Cowichan came in October 1887, on a visit which resulted in his return settle here on March 2, 1888, on land bought at Quamichan Lake. This was on what became the G.O. Day property. He made two subsequent moves in that area before finally settling at Maple Bay in 1922. Mr. Wood’s associations with early organizations and activities in the district were very numerous. In January, 1890, he was elected councillor for Cowichan ward of North Cowichan, and altogether served for seven years as councillor. On January 13, 1896 he was elected reeve of the municipality and served in this capacity for three years. Mr. Wood was appointed honorary treasurer of North Cowichan in 1893. For six years he was a trustee of Quamichan School, being first elected on July 11, 1891. In agricultural circles, he was named secretary-treasurer of V.I. Flockmasters’ Association at its first meeting on October 28, 1893, when the late Capt. R.E. Barkley was elected president. Mr. Wood drafted the by-laws of the association, and in 1900 became its president for three years, after Capt. Barkley resigned. He was a director and charter member of Cowichan Creamery, serving for several years following his election on December 16, 1895. The previous month of that year he had been elected vice-president of Cowichan Agricultural Society. Mr. Wood was appointed a justice of the peace in 1897. It was at this period that Mr. Wood made an incursion into provincial politics. In 1895 he was elected for Cowichan-Alberni, which districts were for some time bracketed and represented by two members; but the ballot box from the west coast was thrown out and a new election called. Mr. Wood did not run again. The successful candidate was the late Mr. A.J. Huff, Alberni (who represented Alberni for many years), who was elected over Mr. R.B. Halhed, long a resident of Chemainus. When development of the copper mines on Mt. Sicker began, Mr. Wood was manager in 1899 of the Tyee mine in the absence in England of the late Mr. Clermont Livingston, director and manager, whose honorary advisor he became. Mr. Wood was an original shareholder, and was elected in 1905 to membership in the American Institute of Mining Engineers, which met once at the Tyee mine. Interest in geology Mr. Wood always retained. He had a close knowledge of rock formations in this area, and the study of all associated matters was a particular hobby. Before his death he had been following atomic development with the closest interest, In 1916 he was made an honorary member of the Natural History Society of Cowichan, now inactive. Mr. Wood was first president of Duncan Board of Trade, now Duncan Chamber of Commerce, being elected in 1909. In January 1911, he was named director of B.C. Fruit Growers’ Association in Victoria, attending the meeting with the late W.P. Jaynes and the late Walter Peterson, with a view to starting a cannery at the creamery in Duncan. His connection with King’s Daughters’ Hospital extended over some 18 years, from his appointment as director by the Provincial Government in 1911. He was treasurer to the board of directors from 1912, until his resignation on April 16, 1929, owing to ill health. Sporting circles also felt his guiding hand, for in 1913 he was elected first president of Maple Bay Aquatic Club, an organization which functioned for some years and held memorable regattas and water sports. One of his last appointments was that of police commissioner in 1920. Mr. Wood and the late Mr. W.H. Hayward, a former Cowichan M.L.A. , had the first rural telephones in the Cowichan district. Outstanding during his later years was Mr. Wood’s ability as a motorist. He drove three times weekly into Duncan for his mail and supplies up until one week before going to Victoria this month. He leaves two sons, Capt. Rupert W. Wood, R.C.N., Ottawa; Com. M.A. Wood, R.C.N., Victoria; seven grandchildren living, and four great-grandchildren. Mrs Hannah Mutter, Duncan, is a grandchild, as well as Mrs. H.M. Ancell, who has served in the R.A.F. ground forces since 1938. Mr. Wood was well known in earlier days in Free Masonry, being admitted to the third degree of the order on March 15 1902. Thomas Anthony Wood is buried in St. Peter’s Quamichan Anglican cemetery.